The first song is title track “Atoms Aligned, Coming Undone” which serves as a brilliant introduction to the record; starting with a deliciously thick bass line followed by eerie synth/string sounds before a distorted guitar, rhythmic drum beats and Sylvaine’s dreamy vocals kick in. For me the sound is reminiscent of her label-mates Sólstafir and conjures up visions of floating over the icy Scandinavian landscape. Second track “Mørklagt” has a driving rhythm from the start but about a third of the way through the track it takes a darker turn; the pace of the drums intensifies and Sylvaine’s vocals turn into demonic screams, similar to those of Myrkur or Chelsea Wolfe. I would love to see this track performed live and hope Sylvaine comes to the UK to tour soon! “Abeyance” was the first track to be released from the album at the beginning of August and again has a Sólstafir kind of sound… not that I am complaining! The sound manages to be both soft and heavy with driving guitar and drum parts. “Worlds Collide” begins with a dreamy guitar part followed by beautiful vocals; instantly relaxing you into a state of calm. However, despite it’s calm sound, in “Worlds Collide” Sylvaine sings of a struggle and sadness; “From behind this veil of tears / Reaching out just to be declined / As seasons pass time leaves me behind”. “Severance” is the shortest track on the record at 4:40 and starts with feverish guitar and drums, later featuring more of Sylvaine’s darker vocals as in “Mørklagt”. I would say that “Severance” is probably the heaviest track on the album. The album’s closing track “L’Appel du Vide” was released at the beginning of October and is probably the one I was most familiar with before receiving the whole album to review. It begins with a delicate guitar and the song ebbs and flows between this delicate and a heavier, driving guitar sound. Like “Severance” and “Mørklagt” the darker, screaming vocals are present on “L’Appel du Vide” and provide a very strong end to what is a brilliant collection of tracks. It takes you on a sonic journey and leaves you wanting more! Despite being just six tracks long, Atoms Aligned, Coming Undone is over fourty-two minutes long and each track is both beautiful and haunting. 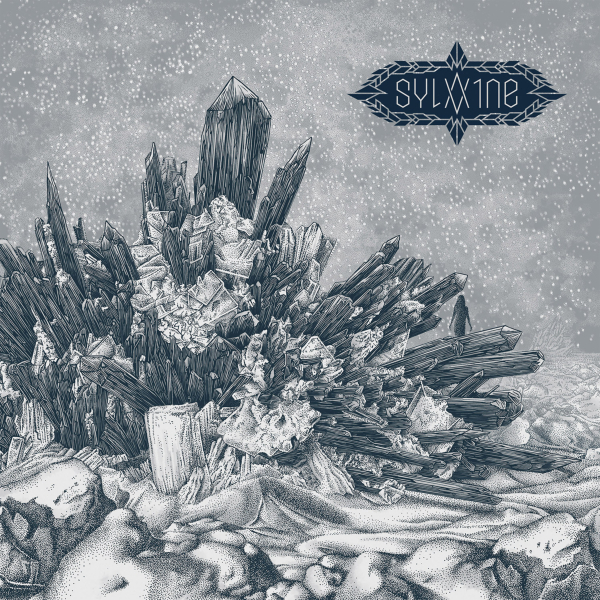 If you enjoy the music of Myrkur, Sólstafir and other ambient post-metal I would definitely recommend that you check out Sylvaine.